while dining at firangi dhaba. 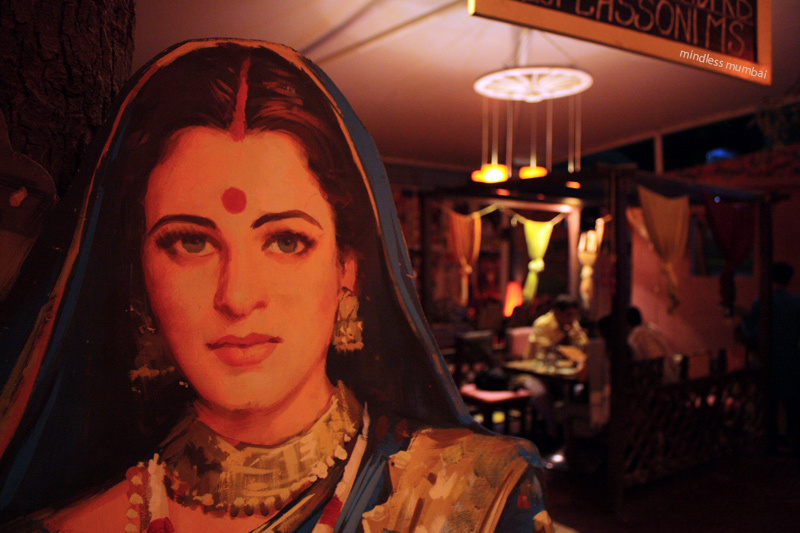 eat here once, for the sake of the place - film posters, cut outs of film stars, kitschy india-flavoured art and a very loud welcoming-dhol. food is just about ok. and true to its name, the food best caters to a certain segment. i would like you to check out my work & also send me yr email id. I love this city a lot & most of my work is Bombay based. im also on facebOOk where you can sEE more of my work than on my blog. I love your photographs, you have a wonderful eye for composition and colour.i have looked at your various blogs etc and you also write very well. Would love to show you some of my photos but have them on Picasa. Have just returned from a holiday in India and got some good pictures I think. Could I have your email address so I could let you see my site? I am also on facebook but don’t put my photos there. All the best.